International Furniture Fair Singapore (IFFS) will return to the Singapore Expo from 9-12th March 2017 with a host of updates. 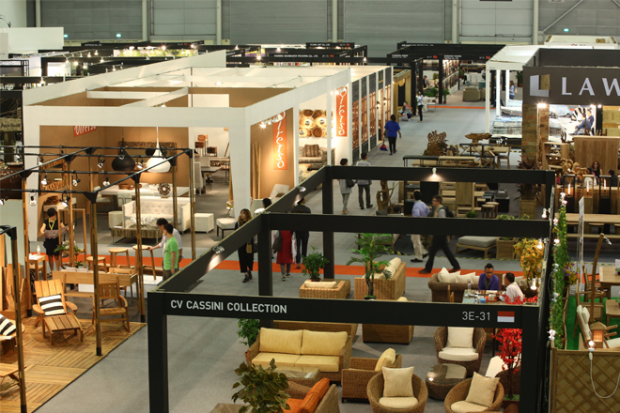 Along with co–located events – the 34th ASEAN Furniture Show (AFS) and the inaugural Nook Asia – the shows will continue to celebrate design and facilitate business discussions. Visitors are encouraged to pre-register at www.iffs.com.sg/reg/ to enjoy a waiver of the onsite admission fee of SGD 20 and to avoid waiting lines at the show. At IFFS 2017, visitors can expect to see collections presented by a portfolio of first-rate exhibitors from all over the world, and to be exposed to design–centric elements across the show floor. New for 2017, IFFS welcomes the European Union Pavilion to the inaugural Nook Asia event. Organised in partnership with European Union Gateway Business Avenues – a business support programme for Europe–based SMEs to establish business collaborations through business matchmaking and support services – the pavilion is expected to house 50 design and interior companies that hail from 28 EU countries. Also new is the Brand Franchise Pavilion, which is devoted to furniture and furnishing franchisors, and caters specially to brands that are exploring international franchise expansion. Yet another new feature area is the Upholstery Pavilion, which houses a curated line–up of exhibitors with upholstery offerings. Participating companies include Alexander & James, Asiades, Bellagio Asia, Hugo by Yew Hoong, and NS Furniture. Returning to IFFS, the Outdoor Boulevard is a dedicated area for exhibitors with garden and/or outdoor offerings, while the Design Stars Showcase is slated to make a comeback next year, featuring product debuts by design talents from around the world. This edition will see the introduction of a unique experiential zone, curated by acclaimed local designer, Nathan Yong, and will bring together a group of exhibitors who will each present their best offerings under a collective theme. A central cafè and bar will also be incorporated. Finally, for the first time, IFFS will feature Elite Club, an exclusive invitation–only initiative that is designed for key decisionmakers. Elite Club members will be offered a range of quality benefits and perks befiting this ultimate level of membership, such as access to Elite Club’s Concierge and Lounge, refreshments, complimentary WiFi, and other premium services.